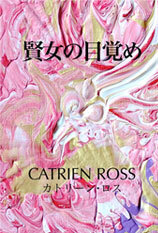 36 Musings at Mount Fuji is a 36-chapter collection of musings by Catrien Ross, who has lived in Japan for the past twenty-five years as an author, a sudden artist, and a natural mystic. Published as a new ebook by Energy Doorways in May, 2018, it provides inspirational lessons in love and loss on topics such as hidden truths in needles and tofu, letting go of maps, and samurai yabusame as spiritual insights. 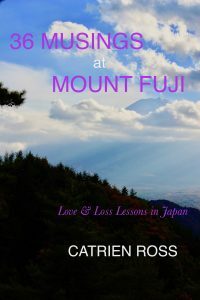 Catrien Ross lives in the Japanese countryside, in a 300-year-old minka in the mountains, and iconic Mount Fuji is part of the author’s daily life. 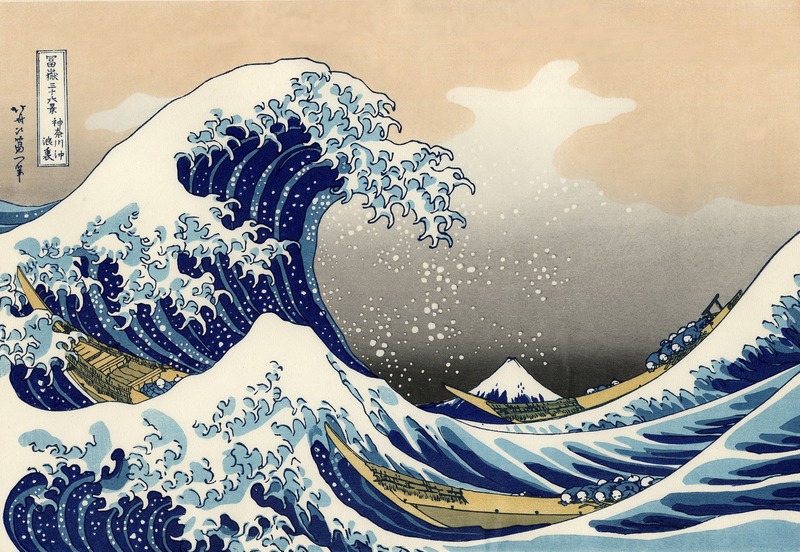 So she heads each chapter with a different image from 36 Views of Mount Fuji, the famous series of Japanese woodblock prints by the ukiyo-e artist, Katsushika Hokusai (1760-1849). The attractive pairing of 36 meaningful musings with 36 well-known views has yielded an enriching ebook that offers practical spiritual insights as well as a nod to the artistic traditions of old Japan.